The main objective of Wing Tsun (or WT as it is commonly abbreviated) is to be a realistic system of self-defense. WT does not focus on fighting “techniques”, instead relying on fighting and energy principles to be followed at all times. The central idea is that, under pressure, it is impossible to visually recognize the precise direction and speed of an attack and make a conscious decision on an effective way in which to react, all within the very brief amount of time you have before your opponent’s attack lands. Rather, one must (counter) attack immediately in a very direct and protected manner and rely on reflexes to determine how to react if the opponent’s attack continues to pose a problem. Chi Sao, or “sticking hands” trains students to respond reflexively to the speed, force, and direction of an attack, based on tactile information – which the human brain processes much faster than visual information. The main difference between Wing Tsun and other Wing Chun styles is the WT teaching method. The style’s creator Leung Ting developed the system to be easier to learn and teach compared to more traditional styles of Wing Chun. This idea was later expanded upon by Sifu Keith Kernspecht in Germany by introducing many of the WT specific forms (like the Leg Forms). In comparison to other styles WT has a much more modern, school-like curriculum of teaching. As a descendant of Wing Chun, Wing Tsun shares much of the same history. It in fact only branches after the death of Yip Man, as student Leung Ting decided to take the teachings he had learned from his master and teach them in a much more direct fashion than was traditionally taught in Wing Chun. The principle of directness of teaching was expanded upon by Keith Kernspecht in Germany, creating some of the style’s modern forms, and this German evolution of the teaching is the one most taught today. Kernspecht is responsible for most of the growth of WingTsun across the western world. Kernspecht organized the European branch of the IWTA, the European WingTsun Organization (EWTO), which has its headquarters at Langenzell Castle near Heidelberg, Germany. He also developed a more practical and applied version of some WingTchun techniques, collectively called ‘BlitzDefence’. BlitzDefence shows significance with Krav Maga Self Defence System. These focus on defending against a traditional Western style attacker and ending the confrontation as quickly as possible, while limiting the damage to any involved parties. Kernspecht is the second highest grade WingTchun practitioner in the world and as such is referred to as ‘Grand Master Kernspecht’ by WingTsun students. He is also known to have trained police officers, international special forces, body guards, and federal agents at the Castle. The eight principles of Wing Tchun form a system of aggressive self-defense that allows one to adapt immediately to the size, strength and fighting style of an attacker. There are many ways to express the principles, since they are essentially very simple. However, it takes years of performing the forms and practicing Chi Sao with a knowledgeable instructor to train the body to follow the principles reflexively and to understand their applications in specific situations. As well as describing the progression of a self-defense response, the strength principles also describe the progression a WingTsun student must follow over years of training: first, form training and a great deal of punching to learn to be relaxed in a fight and to (counter intuitively) punch without tension; second, countless hours of Chi Sao training to be able to yield to — and exploit — the attacker’s strength; finally, strength training specific to WT to increase punching and striking power. Go forward (問路尋橋手先行) Advance immediately in order to establish contact with the limbs (allowing for Chi Sao reflexes to take over) or — even better — to strike first. This counter intuitive reaction will often surprise the attacker, and moves the fight into a close distance in which tactile reflexes will dominate over visual reactions, where the Wing Tchun practitioner is likely to have an advantage. Stick to the opponent (手黐手,無訂(地方)走) If you are unable to strike and disable your opponent, but instead make contact with some part of his body (other than his face, throat, etc. ), stick to it. Often this will be an opponent’s arm; if you maintain constant contact with his arms, how can he launch an attack at you without your knowing? This applies for the time only when the opponent is blocking your shortest way of attack. Once there is opportunity, you give up sticking, and go in with your attack (flow). Yield to a greater force (用巧勁，避拙力-即借力） Since one cannot expect to be stronger than every potential attacker, one must train in such a way as to be able to win even against a stronger opponent. Chi Sao teaches the reflexes necessary to react to an opponent’s attacks. When an attack is simply stronger than yours, your trained reflexes will tell your body to move out of the way of the attack and find another angle for attack. Follow through (迫步追形) As an extension of the first principle, if an opponent retreats, a WingTsun practitioner’s immediate response is to continue moving forward, not allowing the opponent to recover and have an opportunity to reconsider his strategy of attack. Many styles that rely on visual cues prefer to step back and wait and time their attacks, as commonly seen in sport and tournament fighting. Give up your own Force One needs to be relaxed in order to move dynamically and to react to the actions of an opponent. When you are tense, your “own force” acts as a parking brake—you must disengage it first before you can move quickly. Get rid of your opponent’s Force This is similar to the third fighting principle. When an attacker wants to use strength to overpower a fighter, the response is not to try to overcome strength with strength but to nullify this force by moving your attacker’s force away from you or to move yourself away from it. Add Your Own Force In addition to borrowing power from your attacker, you can add your own force in an attack when your hand is free. Use Your Attacker’s Force against him Take advantage of the force your opponent gives you. If an opponent pulls you toward him, use that energy as part of your attack. Or if an opponent pushes the left side of your body, you can act as a revolving door and use that force in an attack with your right arm. Wing Tsun training is based around developing reflexes. Training is split into various forms, many of which are only learned when a martial artist has passed the student levels of Wing Tchun. The Lat Sao program is something particular to the European branch of the Leung Ting style of teaching WingTsun; the other Wing Tchun branches, including the Hong Kong branch of Leung Ting’s organization, generally progress in a more traditional manner from the forms to Chi Sao training to sparring. Lat Sao roughly translates as “rolling hands” or “tumbling hands” training. Lat Sao is a sensitivity drill to obtain specific Chi Sao reflexive responses. Although it may look combative, it should not be mistaken for sparringor fighting. Lat Sao is a game, in which one partner plays the part of an attacker, and the other a defender. The attacker and defender generally switch roles frequently, or after a set number of attacks. If one is not paying attention, or if the teacher has not explained the drill properly, the training can accelerate and become competitive; if this happens, the students are missing the point of the exercise altogether. Lat Sao is not about hitting your opponent, but about feeding him attacks that he trains to counter. As your partner becomes better, the attacks can be gradually made more difficult to counter by making them faster or more precise. However, once the attack is consistently getting through, it should be slowed down again, so that the defender can identify his mistake, or “hole” in the defense. Lat Sao can be both beneficial and detrimental when not practiced with awareness of its benefits and its pitfalls. The benefits are generally a more technical and more precise style, because the student spends time testing his limits and finding his mistakes. A secondary benefit is a student’s greater confidence and less shock when first confronted with free-sparring programs. The pitfalls are over-reliance on patterns learned in drills and mechanical execution by rote, rather than feeling the opponent’s pressure and reacting to it. It is beneficial to confront the students with unexpected solutions to problems posed in Lat Sao, as an exercise and to demonstrate that each Lat Sao drill is just one of very many possible solutions to a given problem. A good exercise is also asking a student to solve Lat Sao problems using newly learned techniques in each program; even if the things they come up with do not work, the habit of investigating the problem from different angles and not taking Lat Sao as something set in stone will help them avoid the pitfalls. Chi Sao (黐手) or “sticking hands” is the set of drills used for the development of automatic fighting reflexes. It directly grows out of the main principles of Wing Tchun. In Chi Sao, both must maintain forward pressure, both must stick to prevent opponent’s pressure from coming through and striking, both must yield when opponent attacks with a force that upsets the balance between the two, and both must follow when a way forward opens. The flow of attack and counter attack in Chi Sao alternates, and can be very quick indeed. However, Chi Sao is a partner training exercise, not a sparring or fighting drill, and should not be confused for such. The purpose of Chi Sao is to train the reflexes that let your body know what your opponent is doing, and react to it automatically. The basic forms of WingTsun are covered in the student grades, with further refinements of application and technique in later forms. The goal of WingTsun is to be a “redundant” form, in that the teaching will build upon movement and reactions previously learned to allow greater understanding of the material faster. Each building block may not be completely understood when it is taught (although it should be understood in the limited capacity that a level explains it), however the earlier training will act as a foundation for training in later levels. The Wing Tsun Siu Nim Tao or “little idea form” features a leg form in addition to the traditional hand movements. The aim is to provide the same foundation for the legs that the hand movements supply for the arms. The name of the form means ‘bridging’, or ‘seeking’ arms. The focus of the form is to bridge the distance between self and opponent, deflecting his attacks. Biu Tze (lit. “dart fingers”) is characterized by the use of open hand techniques (as opposed to closed fist punches), and for this reason gains its name. The form teaches how to regain and create a new centerline once it has been lost, and because of this is sometimes referred to as a set of “emergency techniques”. Bui Tze adds full-torso movements to the arm and leg techniques of the Siu Nim Tao and Chum Kiu forms, though (as with the other forms) some Biu Tze movements are learned in the student WT grades – building on its “redundant” teaching system. Mook Yan Chong literally means “wood person post”, as such it is used to take the place of an imaginary partner to practice on. However, it is not a literal representation of a person – but a representation of a person’s force and energy. The trunk of the Wing Tsun wooden dummy is made of a cylindrical wooden stake of about 5 feet in length, and 9 inches in diameter. Other parts of the dummy include the two upper arms, which are stuck into chiseled holes at the same height of the upper part of the trunk. The third arm, called the middle arm, is stuck into a hole below the two for the upper arms. The dummy also has a leg which is a short bent stake thicker than the three arms stuck at a hole below that for the middle arm. Together these form the body of the dummy which is fixed to the supporting frame by two cross-bars that pass through holes in the upper and lower ends of the trunk. The two crossbars are fixed onto two perpendicular supporting pillars. The supporting pillars are usually firmly fixed onto the wall or at the ground, so as to stand heavy strikes. Formally known as the “Six and A Half Point Pole” form, this is the second to last form of the system. Translating as Eight Cut Broadsword, this is the last form of the system. One characteristic of Wing Tsun is its structured teaching system. While many styles of martial arts teach techniques in a non-linear fashion, WT’s system is structured like a school curriculum, with each grade building on the previous, rather than just introducing more information to learn. Also, unlike the traditional master-apprentice model of teaching where a student would follow his instructor for several years or even a lifetime, the IWTA’s structured approach ensures all students receive a complete WT education at each grade level. A busy individual who can only train twice a week would not miss out on important concepts or ideas that would give their devoted classmate, seemingly always in class, an unfair advantage – though an advantage would likely arise from their classmate’s diligence and further developed skills from the extra hours of training. 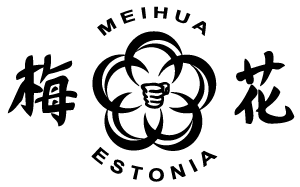 Meihua Sports Club was founded in 1986 and trained champions of Estonia and Europe in various forms of martial arts.